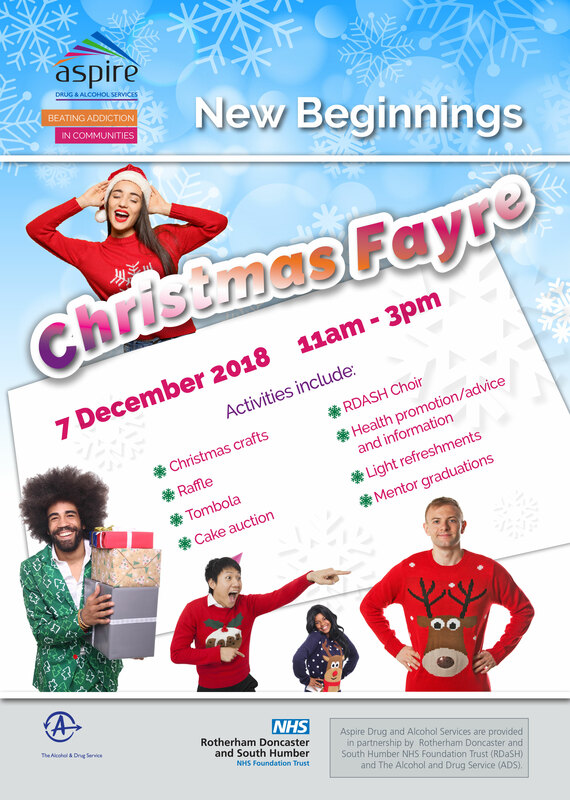 In the run up to Christmas a local service that supports the recovery of people from drug and alcohol addiction is holding its Christmas Fayre at New Beginnings in Doncaster. New Beginnings, which is part of Aspire Drug and Alcohol Service, is inviting local people to come along on Friday December 7 between 11am to 3pm on Marshall Avenue in Balby, DN4 0QP. The Christmas event will involve a range of activities including crafts, raffle, tombola and a cake auction. There will be a performance by Rotherham Doncaster and South Humber NHS Foundation Trust’s (RDaSH) choir ‘Feelgood Singers’. There will also be informal tours and mentor graduations of achievement. New Beginnings is based on Marshall Avenue, Balby, Doncaster and provides a specialist rehabilitation and detox service for people experiencing substance misuse. If you or someone you know is experiencing drug or alcohol issues and want to talk in confidence please visit www.aspire.community or ring 01302 730956.